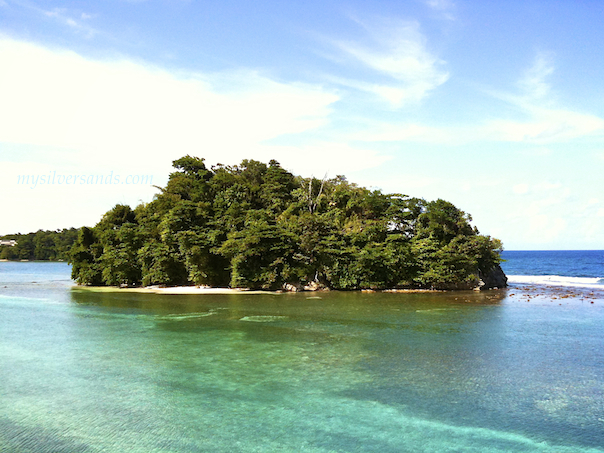 San San is a quiet stretch of the North-East Coast of Jamaica, only about seven miles from the historic town of Port Antonio. San San is home to a fabulous white sand beach, the luxurious San San villas and the world-famous Blue Lagoon. This picture-postcard parish has not changed much over the decades since mass tourism has come to Jamaica. The countryside is lush with the Blue Mountains rising to over seven thousand feet and plunging to the Caribbean Sea. Definitely not busy, but there is still a lot to see and do in Portland, and San San is an ideal base for your adventures. Many visitor attractions, like world-famous Blue Lagoon, Frenchman's Cove, Reach Falls, Somerset Falls, Long Bay Beach, Boston Beach, Rafting on the Rio Grande, and more. Fly into Montego Bay or Kingston. There's also a helicopter landing pad at the Blue Lagoon. Water sports like, scuba diving, sailing, kayaking and more. Restaurants with a great variety of cuisine, on the beach and in the mountains. Hike in the Blue Mountains and explore the lush tropical rainforests. Explore eco-cultural tourism with visits to the Maroon settlements and tours through the lush interior where you may take the opportunity to learn about the flora and fauna, asa well as Jamaican herbal remedies. Below is a Google View of the area of Portland, Jamaica, showing San San Villas in relation to Port Antonio. 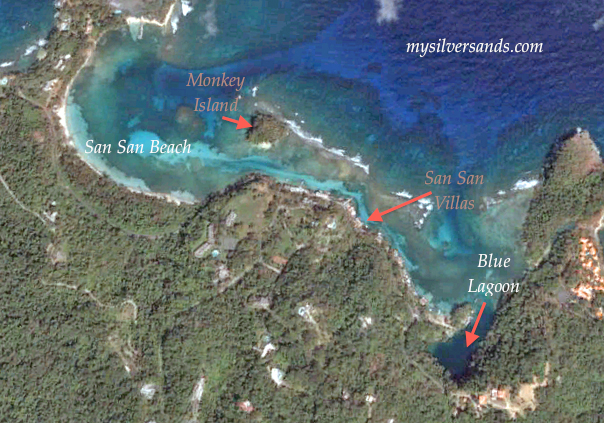 Below is a Google View of the San San area near Port Antonio, Portland, Jamaica, showing San San Villas in relation to Monkey Island and the Blue Lagoon. 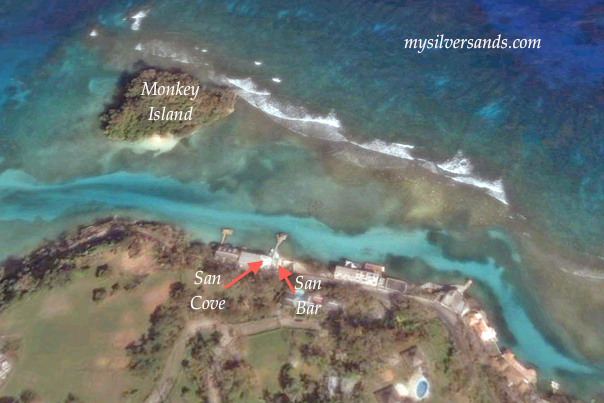 Below is a Google View of San San Villas, San Cove and San Bar in relation to Monkey Island. 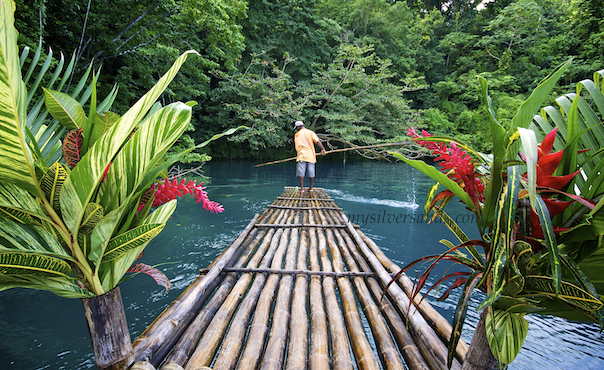 Go to Jamaica Villas and Cottages.